Full Length resizing while maintaining exact control of the case neck is oftern desirable in one operation. The Redding Type S Bushing Full Length Sizing Dies accomplish this task with the precision you would expect from Redding. Uses the same interchangeable bushings as those used in Redding bushing style neck sizing dies. 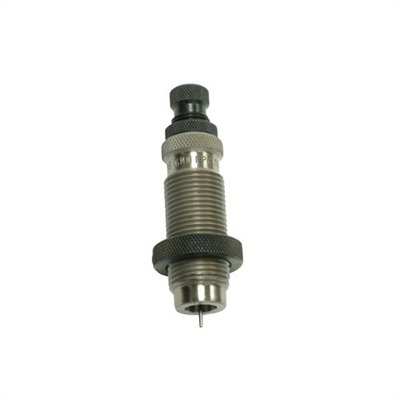 All Type S dies are supplied with both the standard size button and a decapping pin retainer. By removing the bushing and all internal parts, the Type S Bushing Full Die may also be used as a body die.